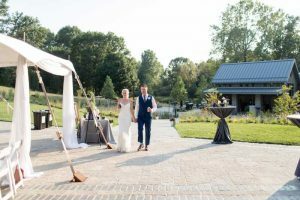 2019 dates available for ceremonies and receptions! 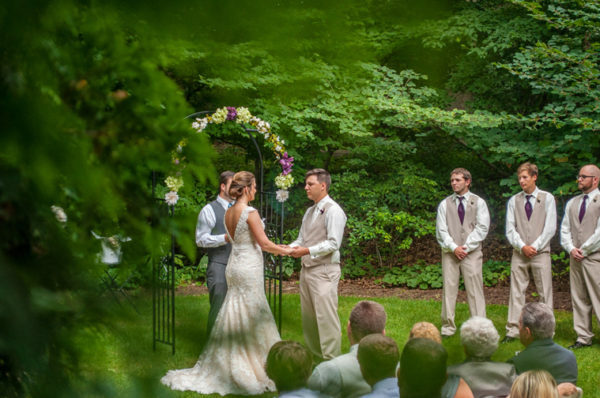 Let Green Bay Botanical Garden serve as the beautiful backdrop to your wedding ceremony or reception. 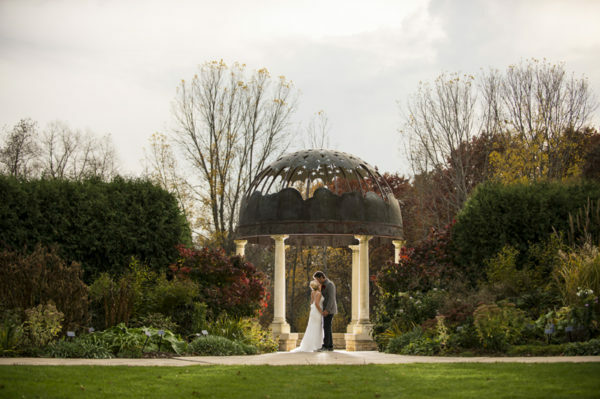 With 47 acres of display gardens and natural areas, it is the perfect setting for your special day. The Garden features six unique outdoor venues, as well as an indoor venue, all with varying capacities and distinct atmospheres. 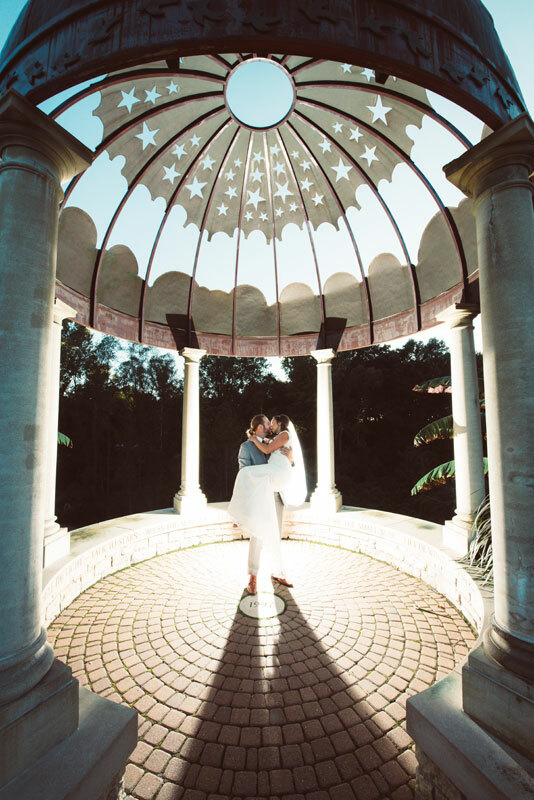 Whether you choose your venue to be the intimate Johnson Woodland Garden or the elegant Kress Oval Garden, you’re guaranteed to make memories in these stunning surroundings. **Garden tours by appointment only. 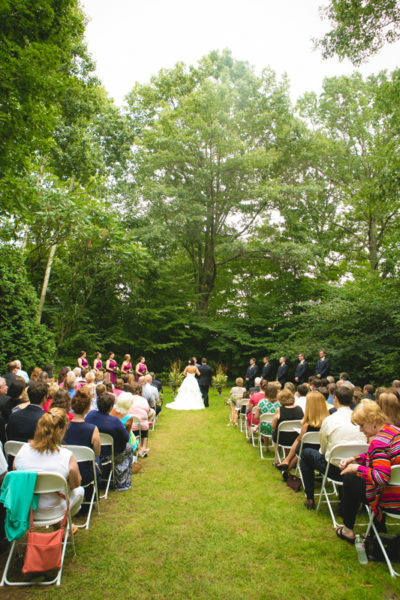 For rental rates, availability or to set an appointment to see the venues at the Garden, please complete our request form. 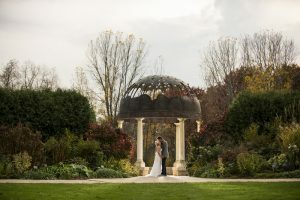 Garden Angel members and above receive a discount on wedding site rentals. Please inquire about membership at the Garden for details. Discounts cannot be combined with other offers. 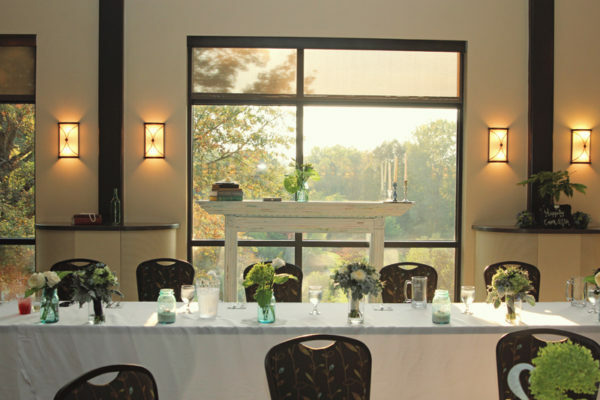 Capacity: Approximately 250 seated (150 chairs included). Matthew Schmidt Garden can be tented. 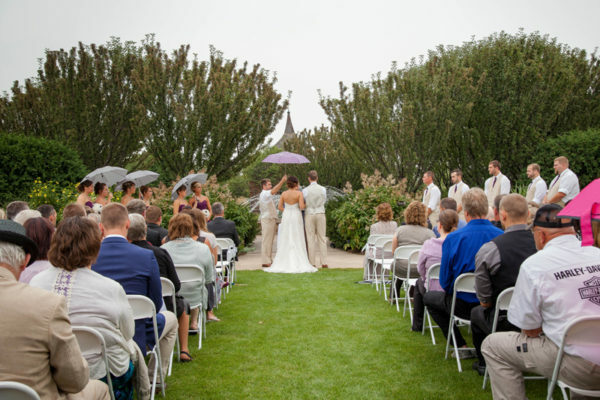 Situated in the Schneider Family Grand Garden, the Cowles Terrace is an impressive setting for a ceremony. 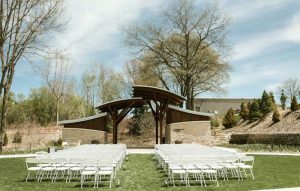 Native trees, grasses and wildflowers envelop this new garden venue. 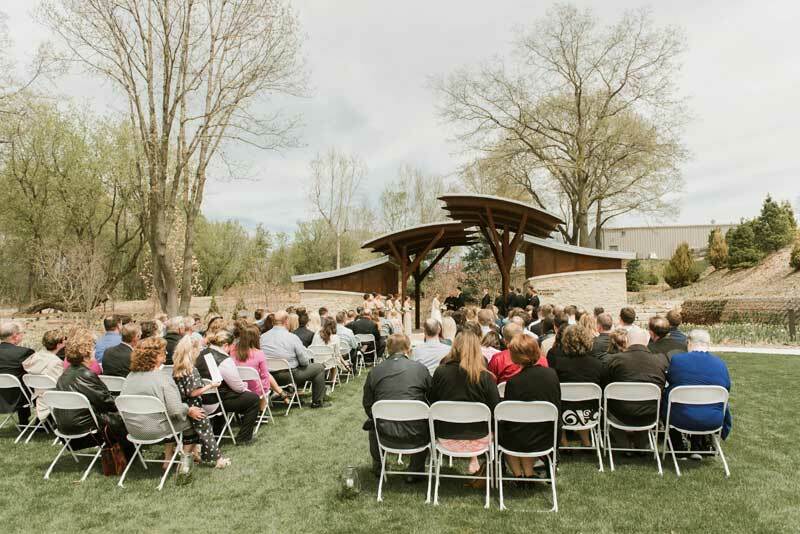 The Cowles Terrace features a grand staircase and access to the Billie Kress Amphitheater stage. Peak bloom for the Cowles Terrace is May through October. Capacity: Approximately 300 seated (150 chairs provided with rental). Cowles Terrace can be tented. 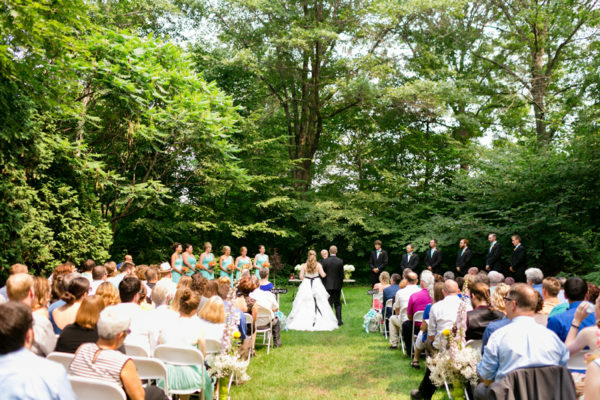 There’s no question why the Kress Oval Garden is the most popular ceremony site at the Garden. This contemporary rose garden is enveloped with vibrant perennials and a lush green lawn. 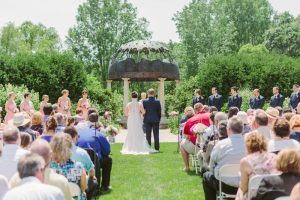 It’s surrounded by two brilliant white arbors, a peaceful water fountain and an exquisite Grecian Gazebo: the Stumpf Belvedere. The beauty of this garden is on display May through October but is especially stunning throughout its peak bloom from June through August. 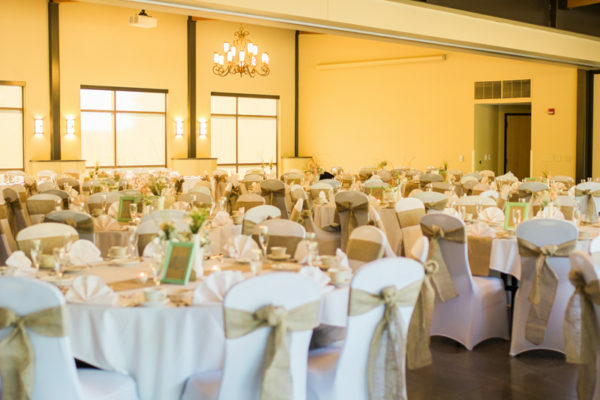 Capacity: Approximately 250 seated (150 chairs included). Kress Oval Garden can be tented. 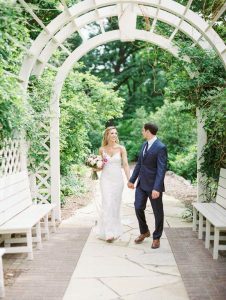 With its rustic and intimate atmosphere including a dry creek bed and flagstone staircase, Johnson Woodland Garden is a great alternative to the more formal gardens. Native trees, shrubs and wildflowers surround a bluegrass lawn, making it the perfect setting for a timeless wedding ceremony. Peak bloom takes place in early May, but the Johnson Woodland Garden also flourishes May through October. 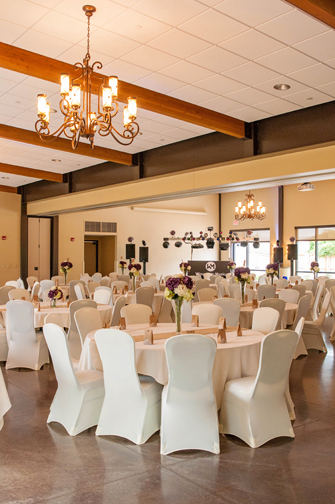 Capacity: Approximately 230 seated (150 chairs included). 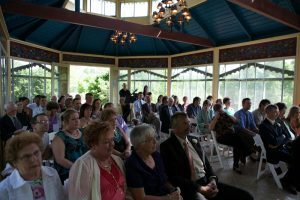 Johnson Woodland Garden can be tented. 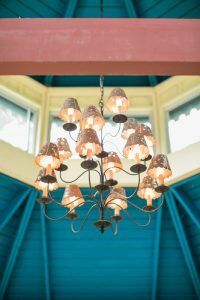 Perfect for spring, summer or fall, the Kaftan Lusthaus is an exquisite gazebo with a Scandinavian design. It features an elegant entrance, impressive hand-painted rosemaling and charming chandeliers. A ceremony at the Kaftan Lusthaus would be surrounded by the beauty of the formal gardens. 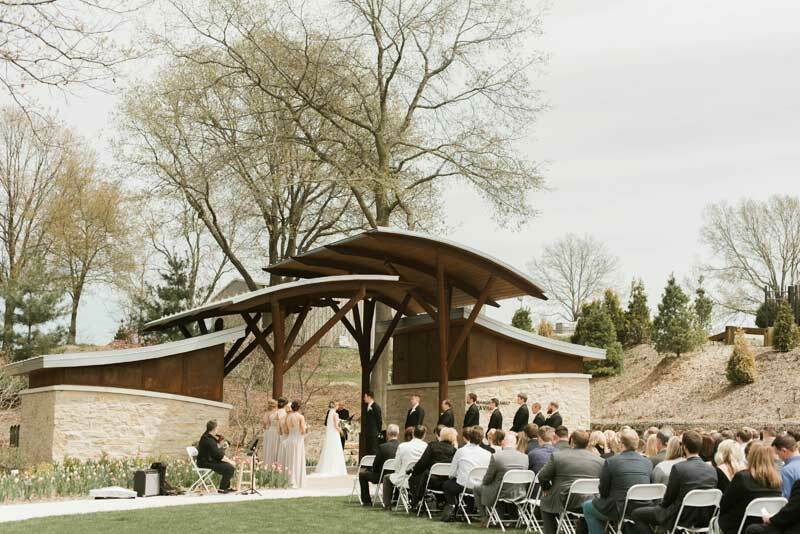 Modeled after an early Grecian Gazebo, the Stumpf Belvedere is a gorgeous site for an intimate ceremony. What makes this structure distinctive are the shapes of stars, clouds, and the moon cut from its iron crown. These shapes create a beautiful and unique way to view the sky and the rest of the Garden. There is no access to electricity or dressing area available with rental of the Stumpf Belvedere. 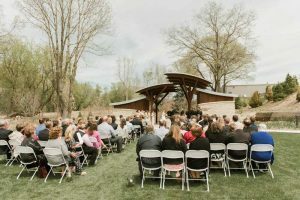 Two hour site reservation for ceremony. Endless photo opportunities. Photography permit applies. 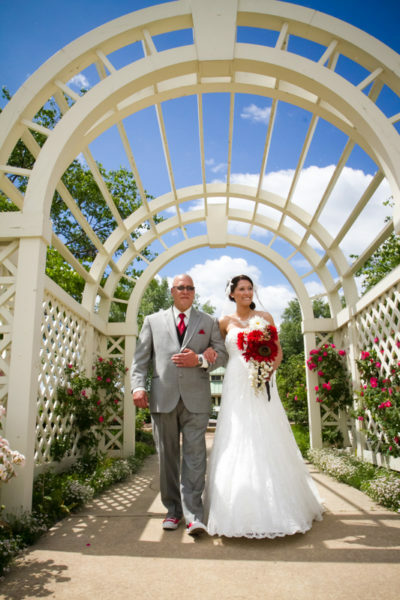 Bridal dressing suite fully equipped with a private restroom, full length 3-way mirror, clothing racks and vanity. 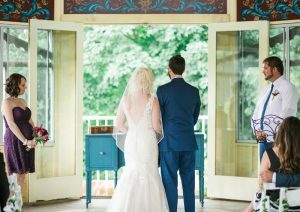 Reserved one hour prior to ceremony. Admission for your guests the day of your event during Garden hours. 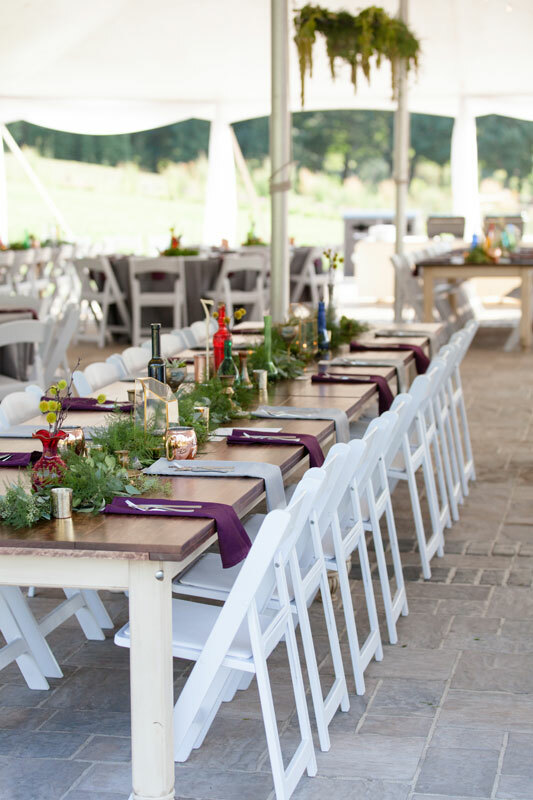 Chairs for your guests based on site selection. Access to electricity for music and lighting needs. Electrical cords not included. Access to the site for a 45 minute rehearsal within three days prior to ceremony. Reservation required. 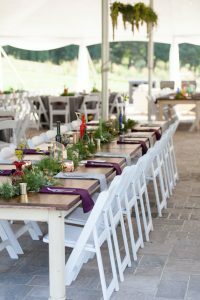 Dedicated Garden Event Host on-site during your event. Complimentary directional signs for your guests from the guest services desk to your event. 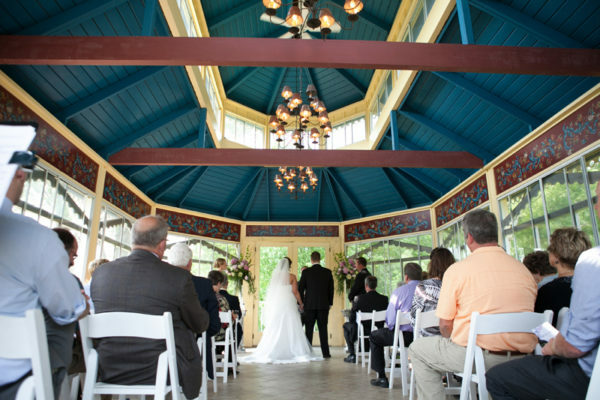 For an elegant indoor reception, Cornerstone Foundation Hall is the perfect space. It features stunning high-ceilings with organic tones that complement the exposed wood beams and large windows overlooking the scenic Garden. Guests may spill out into the adjacent K.C. Stock Foundation Lobby or onto the Roger C. Simurdiak Patio featuring Jan Wos Garden as music and laughter waft throughout the Garden. Capacity: Maximum of 200 plated or family style and 150 buffet style. 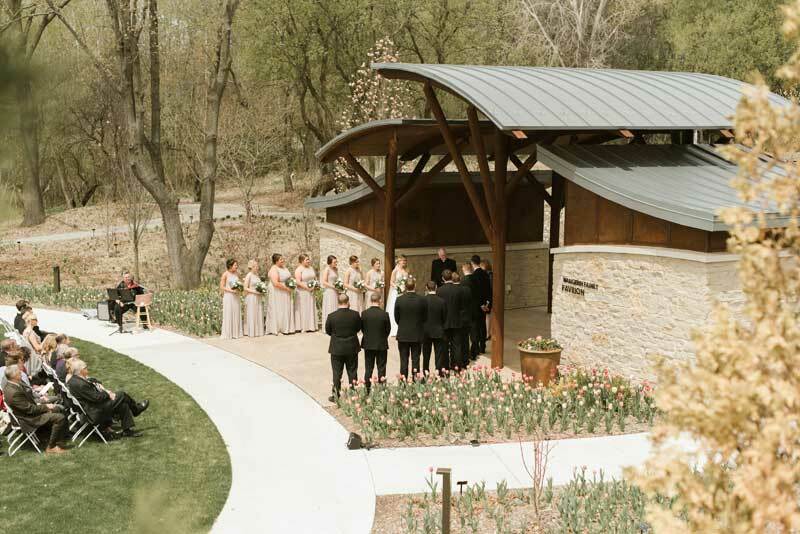 Site reservation for evening reception (10 am-11:30 pm). Daytime reservations available by request. 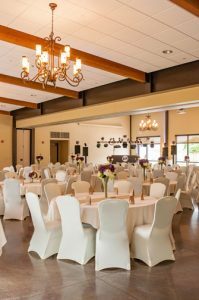 72” round tables and beautiful banquet chairs for your guests. 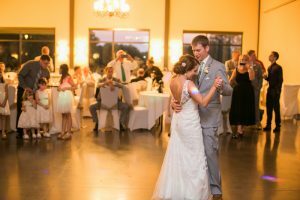 A wireless microphone and slideshow packages are available by request. 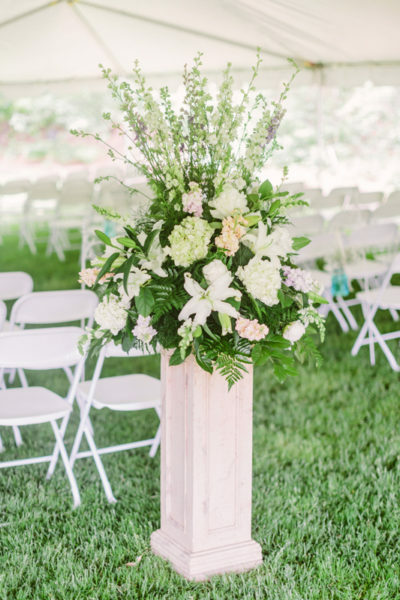 The Garden does not have an area for the storage of personal belongings or rental equipment. 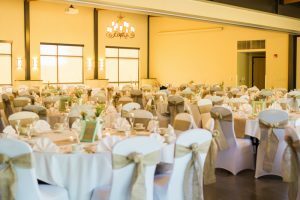 All deliveries of supplies or equipment must be made the same day of the event with advance notice of time of delivery. 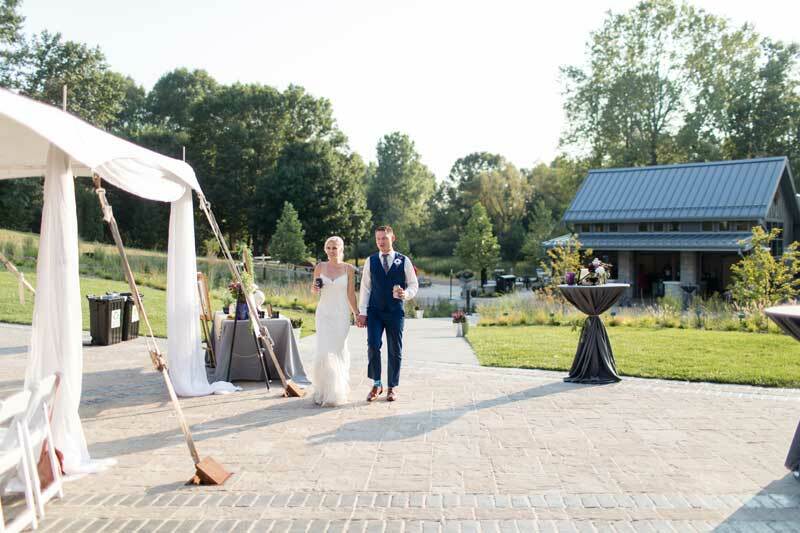 For an elegant outdoor reception, the Cowles Terrace is the perfect setting. Amongst the blooms and beneath the stars, you’ll be surrounded by your loved ones under an enchantingly lit tent. Guests can dance the night away on the Billie Kress Amphitheater stage or spill out into the adjacent WPS Foundation Plaza or Schneider Classroom with cocktails in-hand. 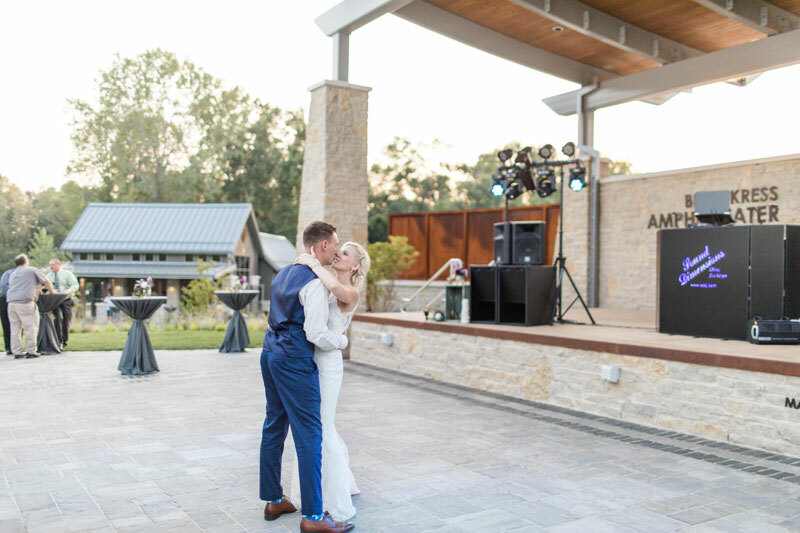 Explore the adjacent magnolia collection and bask in the ambiance of this brand new garden venue. 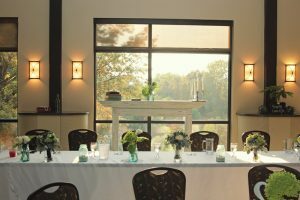 Capacity: 175 guests for a plated or family style meal and up to 150 for a buffet. Possible options for higher guest counts; must be discussed with event planner. 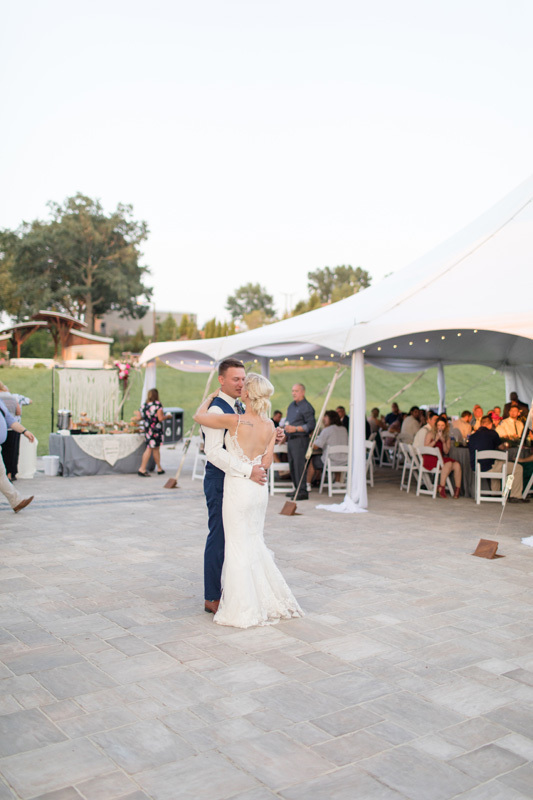 Site reservation for evening reception (10 am-10:30 pm). 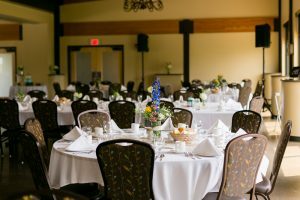 This includes any setup you or your vendors have for your event. Entertainment must end by 10 pm to comply with city noise ordinance. Permeable surface to accommodate a 40×80 tent for reception. Access to additional event space including – Billie Kress Amphitheater, WPS Foundation Plaza and Schneider Classroom. Private restrooms and catering kitchen in close proximity to reception site (part of Schneider Classroom). Admission for your guests the day of your event. Complimentary directional signs for your guests to your event. We encourage visitors to take photographs or shoot videos for their personal use and enjoyment! The photography guidelines outlined below are intended for all guests. However, a permit is necessary for those who wish to use the Garden’s setting as the background for posed photography or commercial videos. This includes wedding, family, engagement, senior photos, maternity, quinceañera or the like and all other commercial photography/videography. We ask that you follow a few guidelines that will allow us to maintain the Garden for all visitors and future patrons. At no time may anything be attached to any walls or structures and/or in the Garden. For safety reasons, no wires, ropes, strings, cords, ribbons, signs or poles can be strung from plants, stakes, trees, nor laid on the ground. Do not hang clothes, backdrops or other props on plants and trees. Because of the nature of the facilities, no birdseed, rice, flower petals, glitter or confetti of any sort may be used or thrown anywhere on or near the Garden’s facilities. 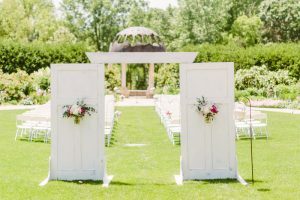 Decorations or props may not be placed at the Garden in advance of the reserved time and must be removed as soon as the photography session is finished. Do not pick the flowers or rearrange plant foliage for any purpose. Do not remove plant labels for any reason. Do not block the pathways, especially when photographing groups. Stay on the designated pathways and grass areas at all times, keeping equipment and people out of flower beds and the fountain. Clients need to arrive camera-ready, or make arrangements with the Sales Team to rent the dressing area. Restrooms may not be used for dressing rooms. 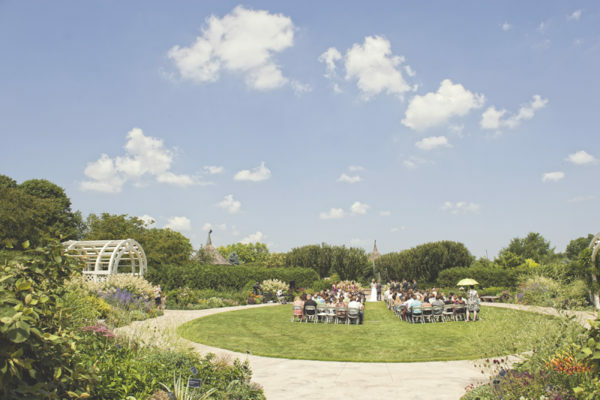 Due to the Garden’s close proximity to Austin Straubel Airport, additional precautions must be taken if flying a drone on Green Bay Botanical Garden’s premises. It is your responsibility to notify the Austin Straubel Airport, Air Traffic Control Tower before flying a drone. 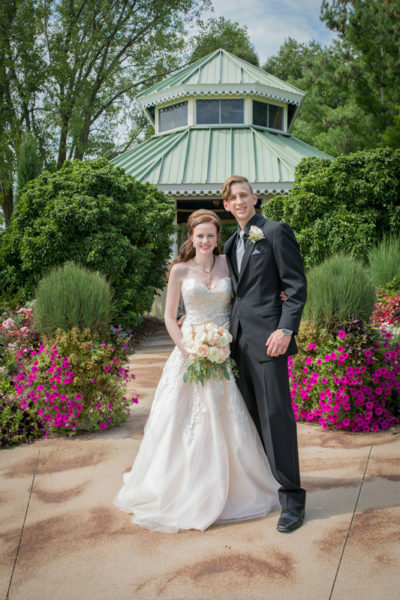 Please contact the Air Traffic Control Tower at 920.431.5751 before flying and let them know your name, your phone number and location of flight (Green Bay Botanical Garden, 2600 Larsen Rd, Green Bay, 54303). You must also include how long the drone will be in the air. 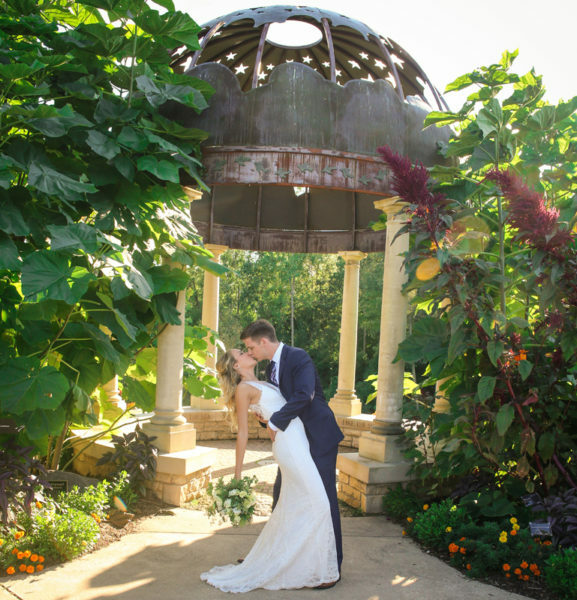 We ask that you comply with our Garden policies to ensure a safe, enjoyable visit for all guests. Visitors who do not comply with these policies may be asked to leave the Garden. Use of the Garden for photography is open to the public during regular Garden hours. Posed photography is not allowed after hours, on days the Garden is closed, or during specific special events. The Garden is a public facility and privacy cannot be guaranteed. Areas in the Garden cannot be reserved for the exclusive use of any group. For just $100 you receive admission for up to 25 people and a two hour block of time to take photos. Reservations are not required for posed photography sessions such as family portraits, engagement photos, senior photos, maternity, quinceañera or the like. 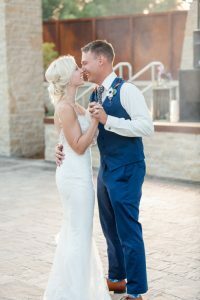 Reservations are required for wedding photo sessions and group (15 people or more) photo sessions and must be made at least two weeks prior to your wedding day. A photography permit covers the photographer or videographer’s admission into the Garden, as well as, one assistant photographer/videographer. 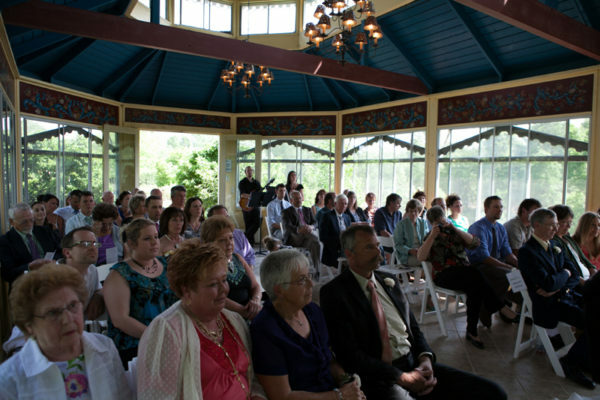 At each visit, all photographer or videographer’s guests (clients) are subject to general admission. Annual Photography Memberships can be purchased online in advance. One Day Permits can be obtained during regular Garden hours or by contacting our Sales Team at 920.491.3691 ext. 113 or rentals@gbbg.org. For more information about wedding or group photography sessions, please complete our request form. Congratulations on your engagement! Your dream wedding awaits and there’s no better place to celebrate than Green Bay Botanical Garden. Please contact us for a private tour or to check availability by completing the request form below. Sites are available for rent two years in advance of the event date. A 50% non-refundable deposit and signed rental agreement is required to reserve a site. Are there specific sites of interest to you? Check all that apply. Have you ever visited the Garden before?